The Halloween activities are gearing up - Brian has carved one pumpkin and started on another. 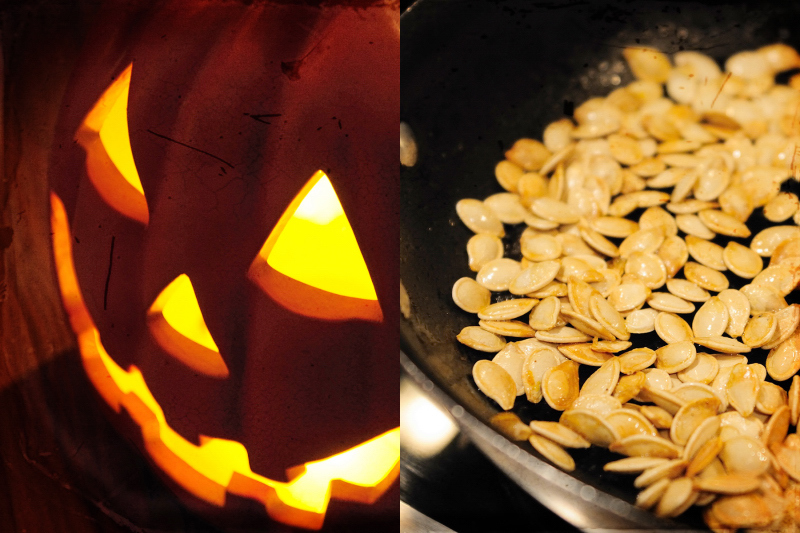 Our lit pumpkin has made its way to the foyer, and we enjoyed our first batch of roasted pumpkin seeds tonight. We've been Boo'd twice and Boo'd our friend's house. I think the fun is just beginning!